Traditional Bavaria t-shirt in great colour combination. Colour: brown. From Hangowear. White and blue are colours of Bavaria. And on brown material, that alone is an eye-catcher. 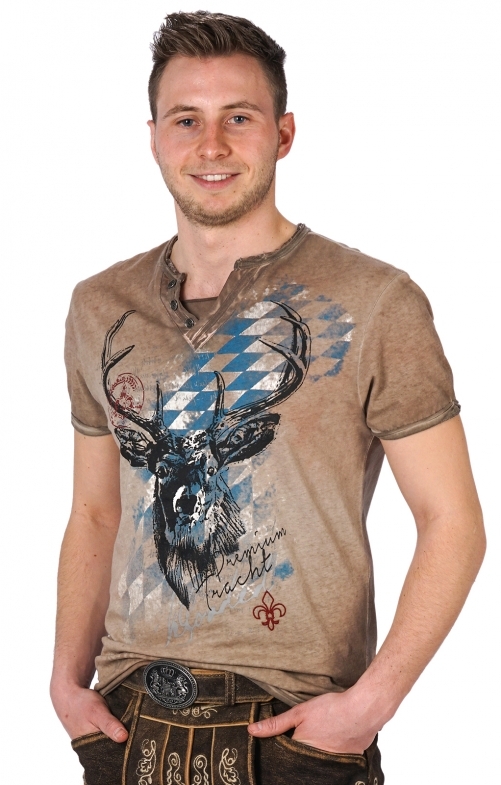 And with the deer motif, you are not only identified as a Bavaria fan, but at the forefront. Young casual optics. Washy. Oil-washed. Shaded and mottled and equipped with a lot of effort, as if the shirt were your "favourite part" and has already gone through a lot. The shirt edges are partially cut and open. As is the case with favourite shirts.